You are here: Home / Basics / What To Do During the Two Week Wait (TWW)? 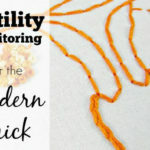 The two weeks between when you have ovulated and when you will be able to take a pregnancy test can seem like the longest two weeks in the world if you are trying to conceive a baby. 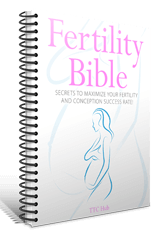 You will be wondering whether or not your efforts have been successful and it will be hard not to think about the possibility that you might be pregnant – or worry about the possibility that you might not. 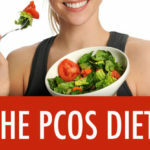 Some women can drive themselves crazy during this period, as it’s difficult not to obsess about what may or may not be happening in your uterus. Here are some tips for staying calm and waiting patiently during this time. 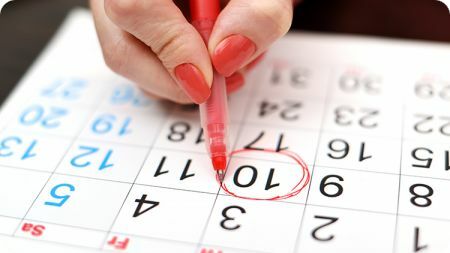 Some women focus on all of the things that they do during that two week period, thinking that if they do or don’t do X,Y, or Z they can affect whether or not they are pregnant. However, the truth is once you have ovulated the opportunity to affect it is over. 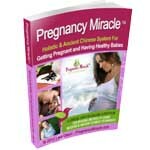 You are either pregnant or not and nothing you do afterward can change it. You already did what you are supposed to do to conceive, so good luck charms will not change what has already happened. You will probably be thinking about the potential pregnancy all day long, so try to fill your time with activities to keep your mind occupied. You may as well make that time fun, so book a date with your girlfriends to go for a walk or go shopping. Get yourself a manicure or a pedicure or have a movie night with your sweetheart. Enjoy a hobby that you love and spend some time doing something you enjoy so that you can think about something else for a while. This also might be a good time to take a course to learn something new, to catch up on some reading, to visit some old friends or to redecorate a room in your house. Although there is only a 15-25% chance that you are pregnant, it is still a good idea to act as if you are until you know. Limit yourself to only a couple of cups of coffee per day, avoid alcohol, don’t smoke, don’t eat fish that contains mercury and avoid raw or undercooked poultry, seafood, meat and eggs. 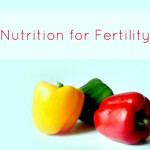 Don’t worry too much about the restrictions, but eat as if you would if you were pregnant – as you very well might be. 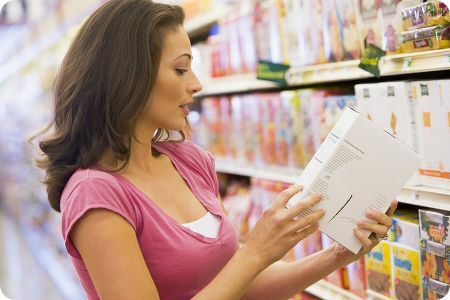 Try to eat more fibre, which will promote healthy estrogen metabolism as well as improve your digestion. Eat foods such as dark leafy green vegetables such as beet greens, collard greens, kale and ground flax seeds. Try to get at least 28 grams of fiber per day. 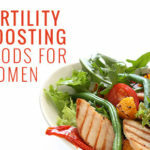 You can also try to create a rich uterine lining by eating foods that nourish your blood, such as grass fed meats, free range eggs, pumpkin, salmon, sunflower seeds, spirulina, quinoa and seaweed – which are all rich in iron and will help to build your blood. Also, a warm womb is a more inviting, so eat foods that support warmth. Try to eat more stews and soups, as well as warming foods such as ginger, cinnamon and cayenne. Try to rest as much as possible, so that you can nurture your body and be as healthy as you need to be if you are actually pregnant. Try to take naps and go to bed earlier. You will really appreciate those naps later, because when you have a baby it will be a lot more difficult to have a nap whenever you want to! Making sure that you get a lot of sleep will ensure that you are well rested and healthy and your reproductive health is in the best possible condition. Go out and do a mild to moderately intense activity, such as going for a hike, going swimming or doing a yoga class. Not only will this take your mind of wondering if you are pregnant, it will help to relieve stress. Also, it will keep you healthy and ensure that you stay at a healthy body weight, which is very important during pregnancy. However, this is not the right time to suddenly push your body into a very intense exercise regimen, such as training for a marathon. 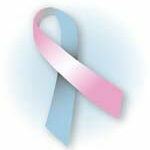 This can put too much stress on your nervous system which is not good when you are trying to conceive. Also, avoid activities that will raise your core body temperature significantly, such as heated spinning classes or hot yoga. 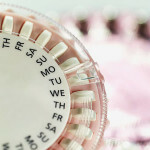 You should be taking a prenatal vitamin every day, even before the two week wait. This will help you to prevent neural tube defects and will also protect your baby’s neural tube – which will eventually become the baby’s brain and spinal cord. Talk to your doctor about the right prenatal vitamins for you, but they should include some pregnancy-benefiting nutrients such as Vitamin A, Vitamin C, Vitamin E, Folic Acid and Omega 3 fatty acids. This is a great productive activity that will take your mind off thinking about the baby and will help you to focus on something else for a while. Take it one room at a time and go through everything. The items that you don’t use anymore can be donated to charity or thrown away and the items you do use can be organised in a way that makes them easier to find. Also, you can clear away some old stuff that you don’t use in order to make more room for baby supplies. You might even want to go through your clothes and get rid of anything that you don’t wear anymore, so that you will have more room in your wardrobe for maternity clothes. When your baby comes, it will be lovely to have a streamlined, tidy and clutter-free home. Writing things down will help you to stay calm and to express your thoughts. Sometimes just venting all of your feelings into a journal helps to get them out of your head and on paper, so that you can relax. Also, when you write down your feelings and your progress you will be able to look back on your thoughts later and remember what you went through when you were trying to conceive. You can even make a scrapbook with photos, clippings and other things that remind you of this time in your life. There is something lovely about planting a garden when you are trying to conceive, as it represents something growing that you can nurture and take care of. 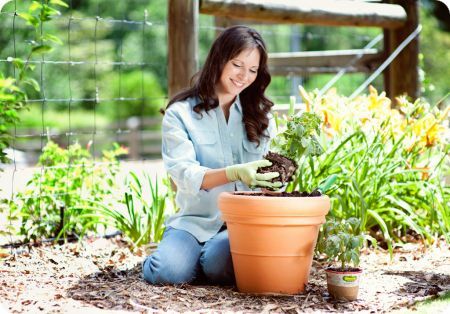 The act of taking care of your plants and feeding them and watering them will take your mind off the baby and keep you busy. If it is wintertime, you can still opt for a potted plant or a small kitchen herb garden. The great thing about a herb garden is that you will be able to grow healthy herbs and use them in your cooking. When you do conceive and your baby arrives, you are going to want to take a lot of photos of their adorable antics. Take the time to learn how all of the buttons and settings on the camera work and figure out how to do photo editing. Take the time to learn this stuff now, so that you will be well prepared when your baby arrives. You could even consider taking a photography course if one is offered in your local area so that you can learn techniques from a professional. This is a nice activity to pass the time because it will require you to concentrate, so that you won’t be thinking too much about the baby. Also, it will be much more difficult to paint them when you are pregnant, so it is better to do it now. Go ahead and give yourself a full pedicure with a foot scrub and some nice lotion. Last but not least, the most important thing to do during the two week wait is just to relax and trust in your body. Do everything you can to keep yourself in a calm and mellow mindset and to take care of your health. If you are feeling doubt or worry about your body and your ability to conceive, these negative thought patterns can shut down your healthy circulation and alter your hormonal balance. This doesn’t have a positive and health effect on pregnancy, implantation and conception. It is important to believe deep down in your heart that your body is a healthy place for your baby to be. Be gentle on yourself and think positive thoughts, trust and patience doesn’t happen overnight but you can cultivate a strong and confident attitude that will get you through the two weeks – and possibly the 9 months afterward.